Thank you for a wonderful collection of pictures and your memories. I have always had an interest in the miners and their work. As a lad i lived in an area of Kent that had four or five pits that i can remember still working and i remember how it affected the communities when these mines closed. I am looking to move to South Shields with my partner who is a Sanddancer, so it will be a home coming for her. This is a long winded way of asking if anybody knows the whereabouts of the Westoe pit head in relation to the modern streets and houses. I have my passport and visa up to date and I know my Sanddancer will not need one. A great place with lovely people, thank you. Firebod-7 wrote: Thank you for a wonderful collection of pictures and your memories. I have always had an interest in the miners and their work. As a lad i lived in an area of Kent that had four or five pits that i can remember still working and i remember how it affected the communities when these mines closed. You would probably be better off asking that question in Curly's Shop as that is the most frequented area from people in South Shields. This is the area of the former Westoe Pit. A bit untidy looking. Why don't they fill it in and put a few tree on it? Its not just the area thats still under construction Global, its nearly the whole of the picture that used to be the pit site. Thanks for the map, so Westoe Crown Village is on the pit site. A very large area than. Did it go from a pit to an open cut mining operation? No global it was a deep mine that extended for miles under the north sea. As mines go then it was a large one and not a minor one. siam sam wrote: very good thread, the rattler line used to run behind the house i live in, about three feet from my back garden fence. glad it is not running now the noise must have been disturbing at night. as a little toe rag we used to put old pennies and let the rattler flatten them, first to double your assets with no risk on the stockmarket. the dolls house was surely next to marsden hall or the whitburn gun emplacement just south of whitburn golf clubhouse, now swallowed up by the quarrying operations. does anyone have a picture of salmons hall station on the rattler line, at the bottom of blackberry hill aka horseley hill or downhill. after being away from home for twenty five years as a deepsea engineer everything change each time i returned some times not for the best, especially when the council used trow rocks quarry as a land fill site now putting up warning notices not to dig or touch anything in the ground yet it is still used for the great north run and campers,and they tell us not to pollute the enviroment. 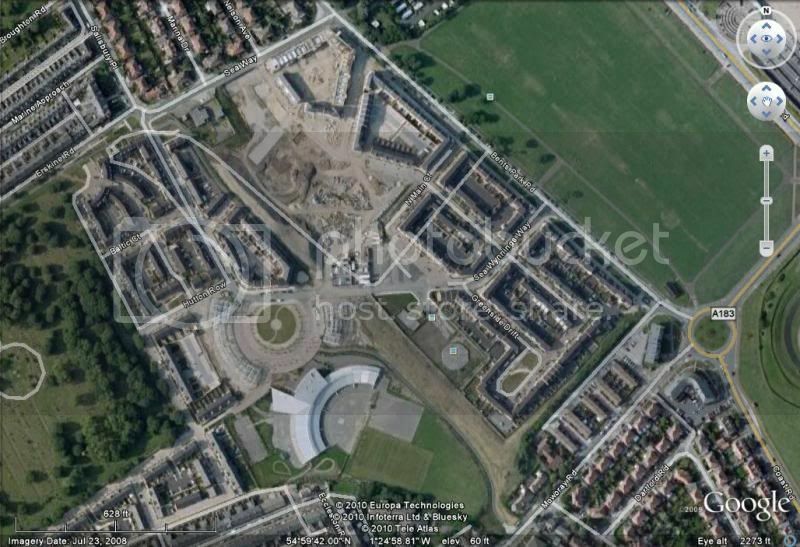 westoe crown village is built on a land fill site, anyway iam rambling now like to hear any replies to my comments. bye bye siam sam. Yes the "dolls house"was on the cliff top about 50 yards from Marsden Hall. The concrete structure with the spiral staircase up the centre was the base for a wooden dove cott that used to sit on top of it.The site of the old navel gun near the golf club has now been swallowed up by the limestone quarry. This was known to us Marsden lads as the dungeons due to rooms with iron bars on the windows down the side of the metal staircase that took you down about 50feet to the start of the tunnels that led you to the big open circular pit that used to house the big gun. Pete lived in Quarry Lane, a couple of doors up from me. Hi quarrylad, yes I grew up in Quarry Lane living there from 1949 till 1973, knocked about with Sammy Summerson. Will never forget that day when Phillip drowned, if only one of you had thought of flagging down the pit bus on the high road instead of running down for old Sammy his father it might have been different.Can still remember the screams of grief from Peggy his mother as she was dumping all his toys in the bin.When you think back to it the reservoir was a death trap with its steep sloping sides,its a miracle that more of us did not drown there.Give me a pm with your name, will probably know you even though you will be younger than me. Another poster on the boards Pilot grew up at Marsden same time as me and there are several more who post on here from Marsden. hi pete, i lived 257 quarry lane (liscombes) i am the youngest alan,lived there 1953 to1968. had some great times growing up there with good mates.i still regret not running to the old golf club house for help when philp fell in the resevoir.we were only 7 years old,and paniked, also remember two older lads there at the time,if only. Hi Alan always say it was a small world living in Quarry Lane, I am Peter Webber and lived at 225, my future wife Jean Anderson lived at 237 Quarry Lane. I knocked about with your brother Lenny, always remember he had a bit of a squeaky voice when he was young, someone said he drank some bleach thinking it was pop. Knocked about with John Martin your next door neighbour and Ronnie and Jimmy Elliot. Was good mates with Adie, Johns older brother right up to his death,saw John at Adies funeral and was suprised to see their father was still alive and he still remembered me,the unfortunete thing about living at Marsden were the ones who suffered serious injury or death in our younger days. When my children were younger we had the chance of moving to a council house at Marsden,but with having two sons and knowing what we used to do We turned it down as me and the wife would have ended up nervous wrecks. You might have remembered the wifes brother John Anderson he would have been about your age.Regarding the bonfire rubbish you stored in Tommy and Ralphs washouse, we did the same but my younger brother David and neighbour Paul Kay built a camp amongst it and lit a candle causing the wash house to burn down. Oh what happy days they were though. Hi Pete, do you remember a lad called Geordie Bashford who lived in Lake Avenue the last |i heard he was in the army but that was a long long time ago. I remember we started a group up and called ourselves The Hartons, we never got to play anywhere as we could not play anything all the way through. Geordie lived in the same square as the Clements. I would love to know where he is and how he is doing now.